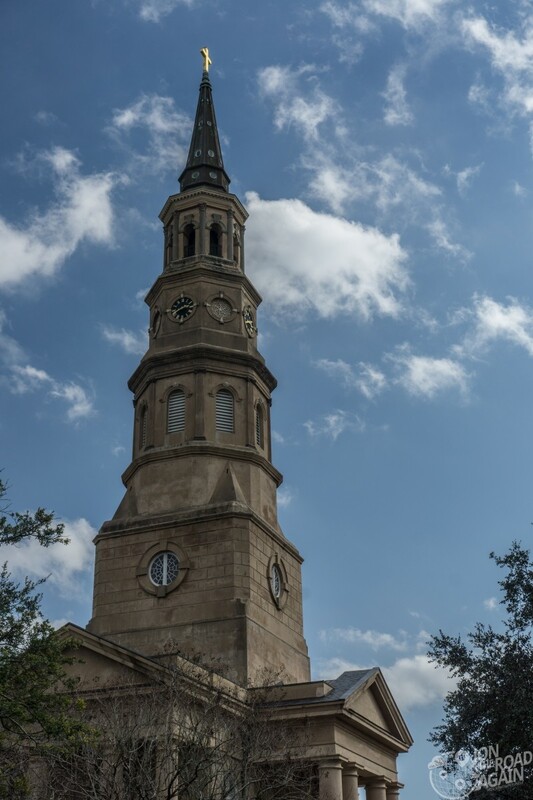 We start where our walking tour of Charleston ended – directly in front of St. Michael’s Church, one of many famed spires that make up the Charleston skyline. If you read this blog, you know I love the architecture of churches. Grand, humble, historic, or new. 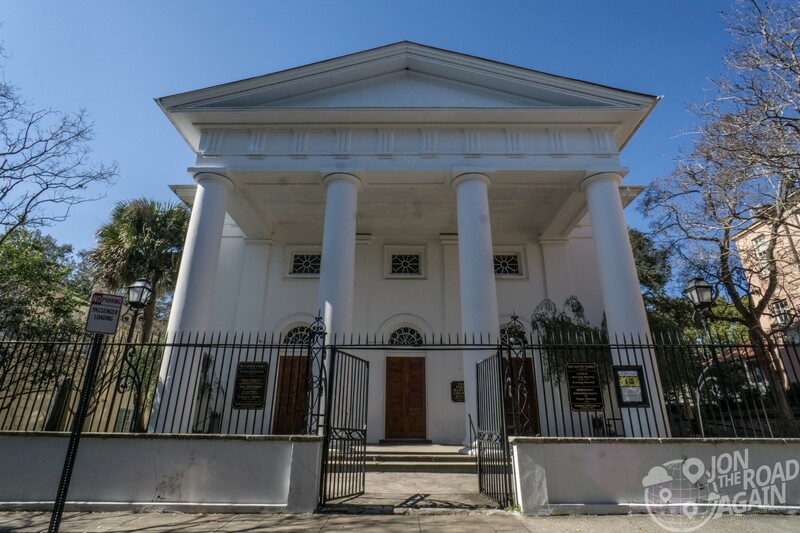 While I was not able to visit all of the historic churches of Charleston, these 5 churches and 2 graveyards will give you an idea of the beauty and history these houses of worship provide. 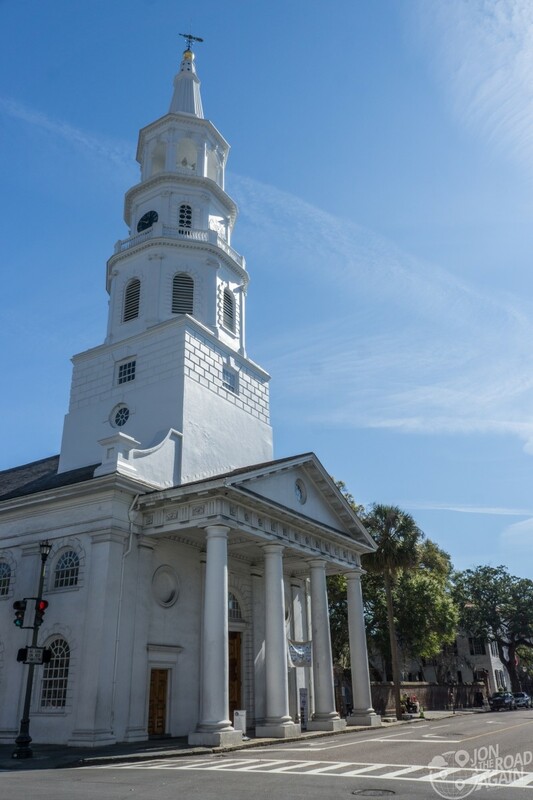 The oldest church in Charleston, a National Historic Landmark and on the National Register of Historic Places, St. Michael’s is the best example of a Colonial American church in the United States. 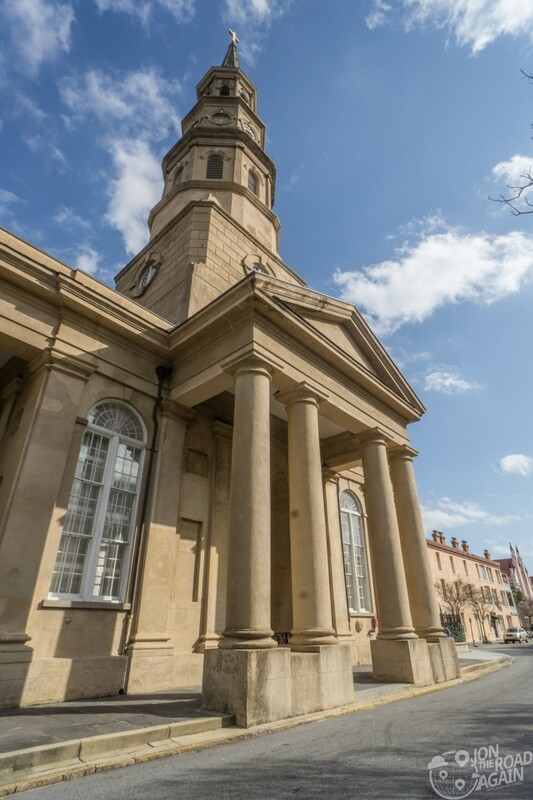 Built between 1752 and 1761, it’s almost ridiculously proportioned 186-foot steeple (which happens to house the oldest tower clock in North America) is visible from many vantage points all over the city. 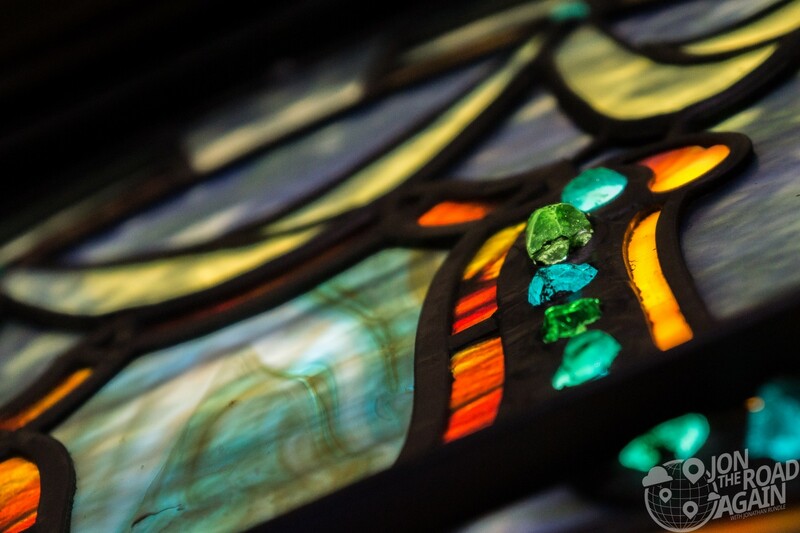 Inside, the beautiful stained glass windows are the star. 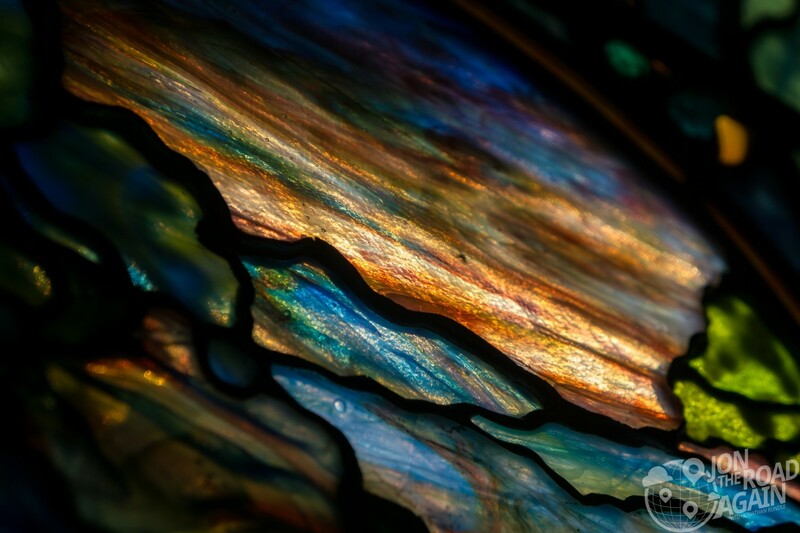 On a sunny day like today the colors were jumping and the subtleties of color and shape inside the panes were on full display. 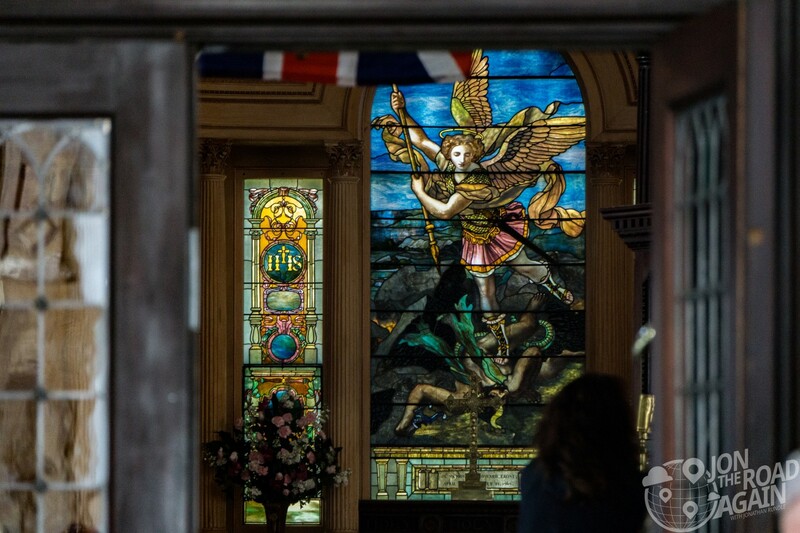 A long-term restoration and preservation project for these stained glass panels was recently completed as part of St. Michael’s 250th Anniversary celebration. While you’re inside, find pew #43—George Washington sat here in 1791, as did Robert E. Lee (many years later, of course). 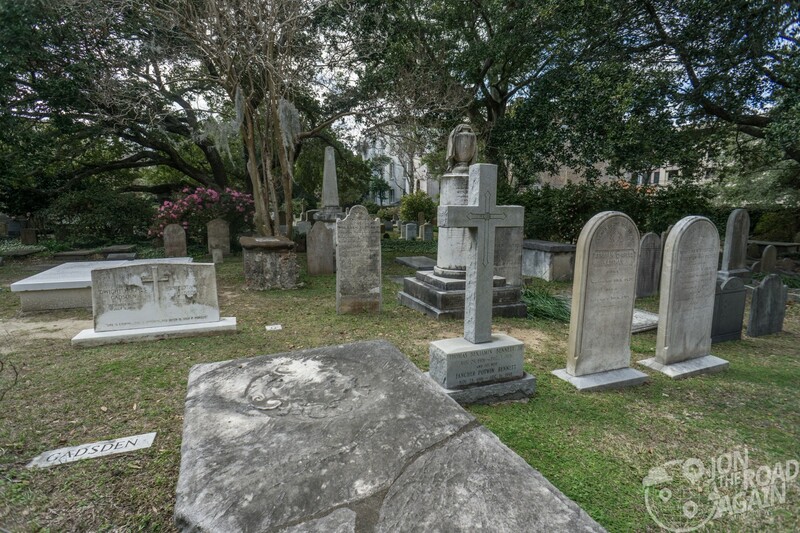 In the graveyard behind the church, you’ll find the graves of John Rutledge and Charles Pinckney. Both were signers of the Constitution. 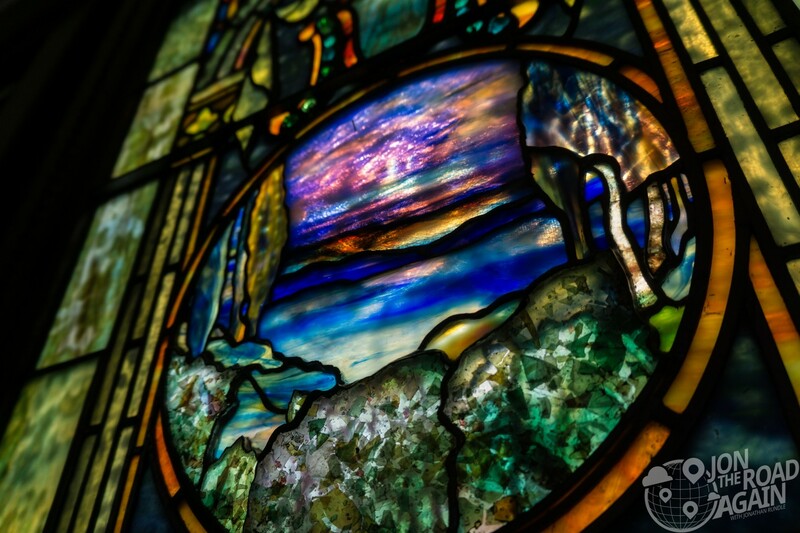 The congregation dates back to 1682 and was originally founded in Maine. The pastor moved south and some of the congregation followed. Through a number of pastors, the following grew large enough to build this structure. The building used today was dedicated in 1822. 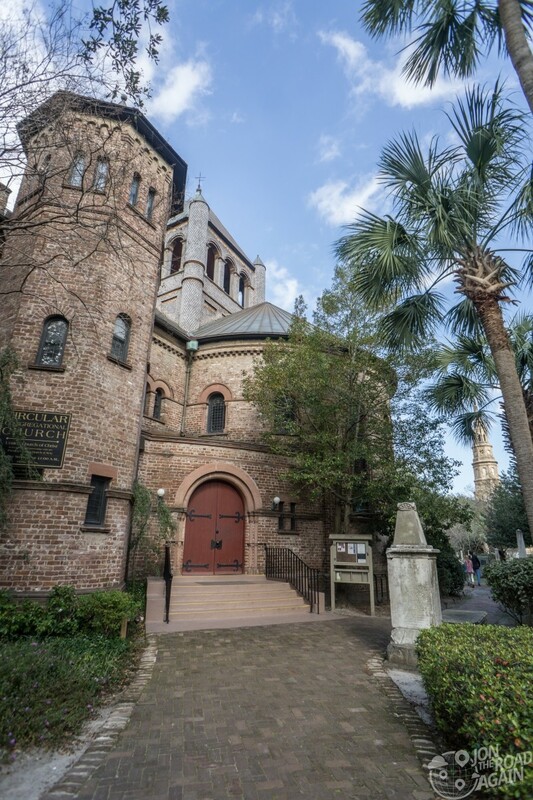 The Circular Congregational Church, a National Historic Landmark, is one of the few examples in Charleston of the adaptation of the Romanesque style. 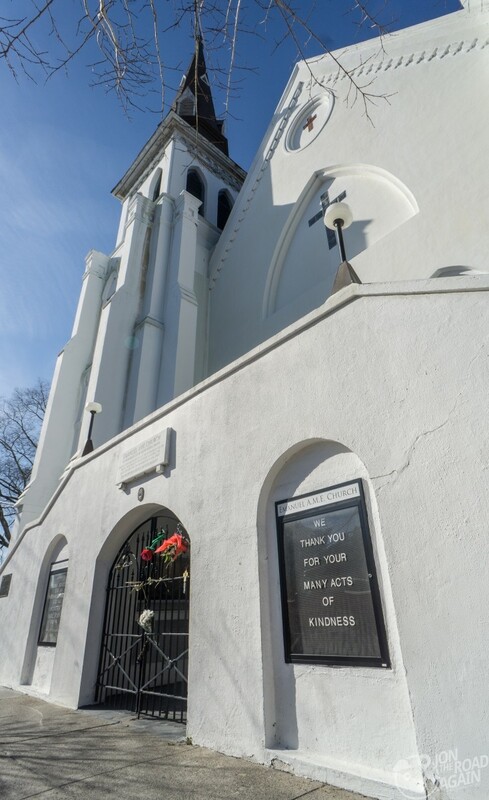 One of the oldest continuously worshiping congregations in the South, Charles Towne’s original settlers founded this protestant church around 1681. 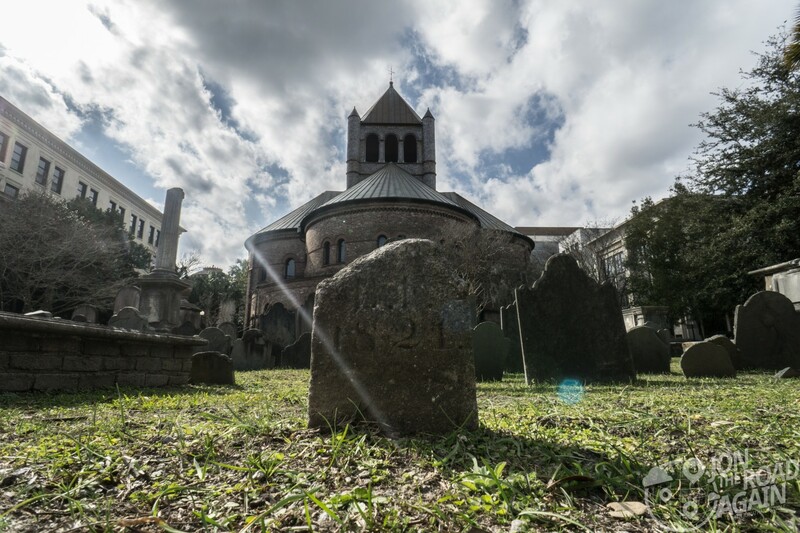 Circular Congregational’s graveyard is the city’s oldest burial ground with monuments dating from 1695. 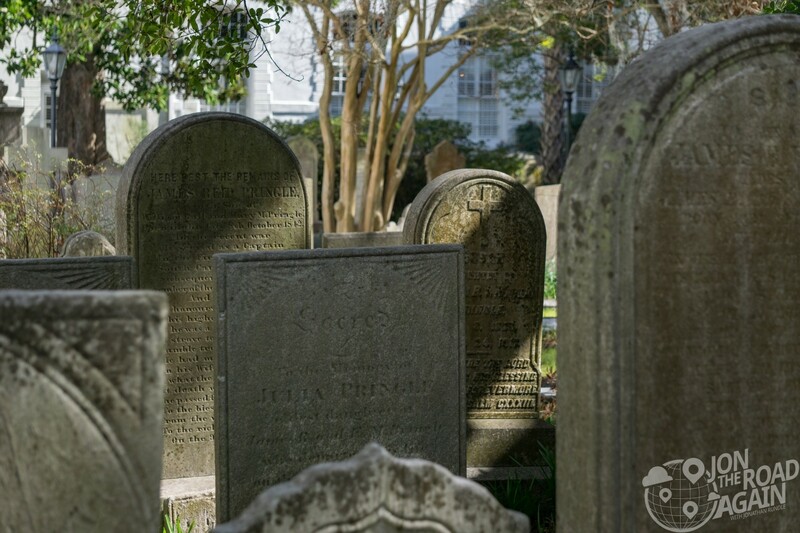 Nearby St. Philip’s Episcopal Church, another National Historic Landmark, houses the oldest congregation in South Carolina and was the first Anglican church established south of Virginia. This church is the third building to house the congregation. 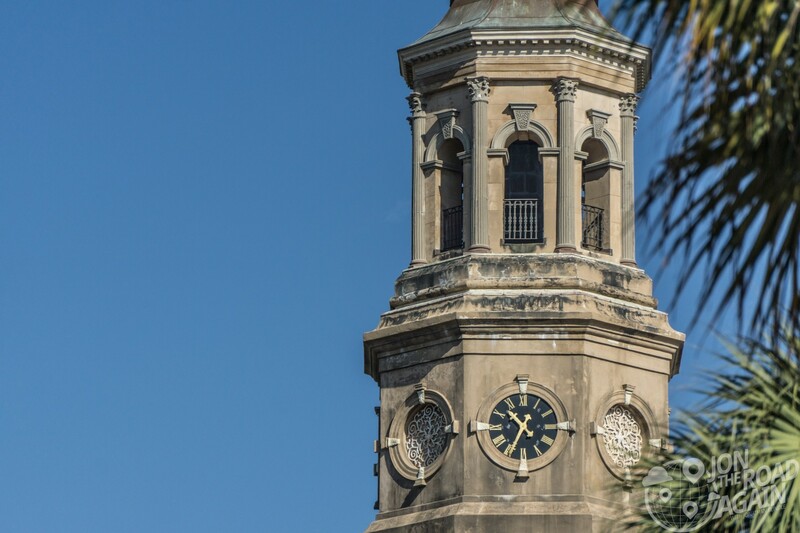 The current St. Philip’s was constructed (partially funded by duties on rum and slaves) from 1835 to 1838, while the steeple was added a decade later. 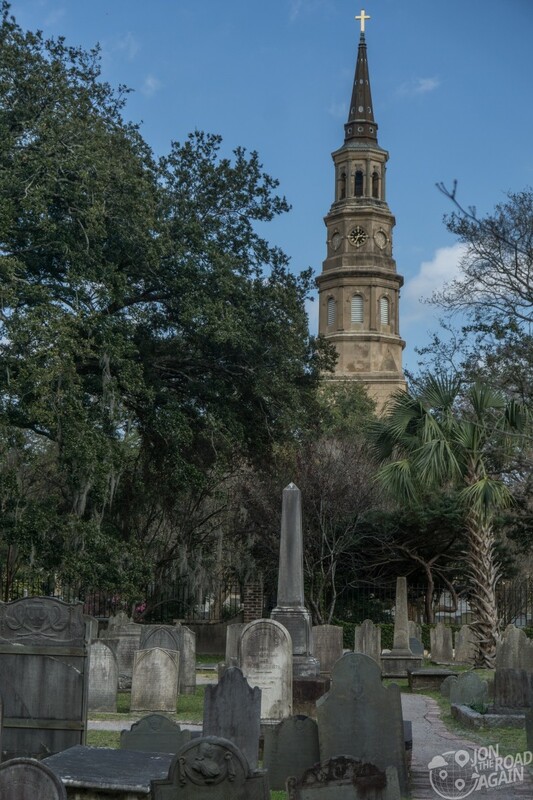 The tower of St. Philip’s served for many years as the rear tower of a set of range lighthouses serving to guide mariners into Charleston’s harbor; the front tower of the range was located on Fort Sumter. 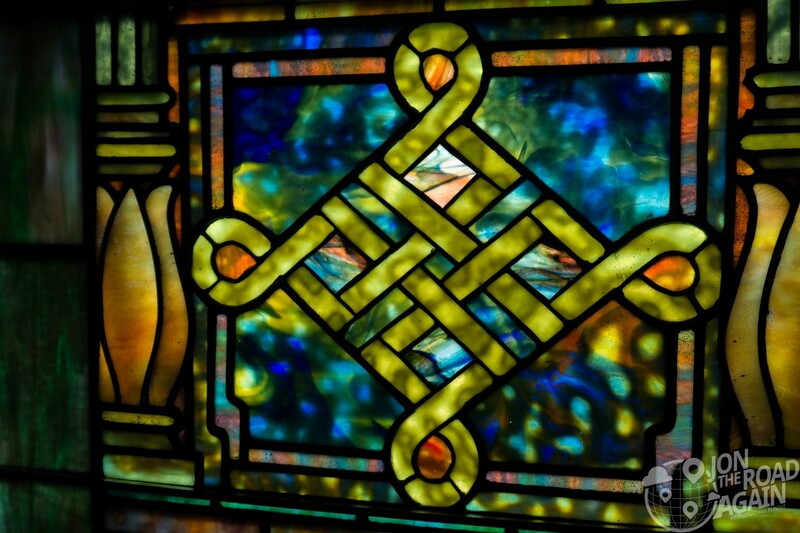 The church is one of only two in the United States known to have served such a function. The Emanuel African Methodist Episcopal (AME) Church is a Gothic Revival style church built in 1891. Also known as “Mother Emanuel,” it is the oldest AME church in the South, and houses the oldest black congregation south of Baltimore. 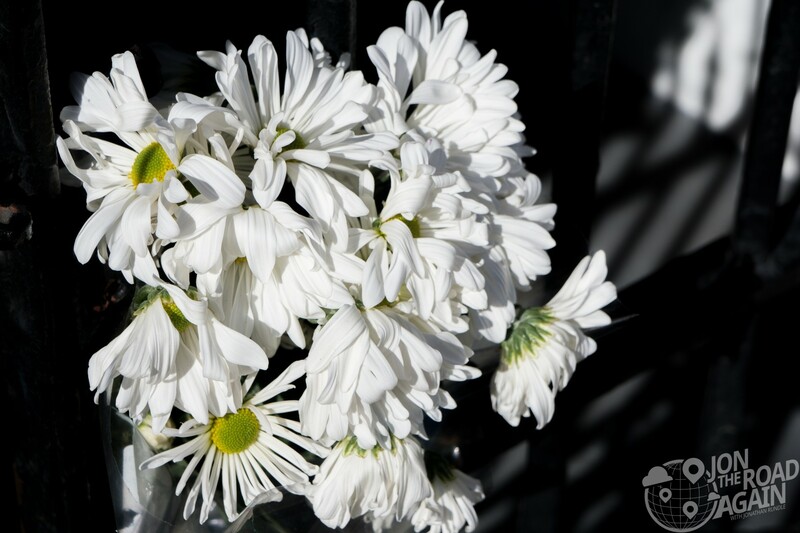 Known most recently for the heinous 2015 shooting of 15 black members of the congregation, 9 of whom died, by a young white supremacist—perseverance through unnecessary violence is nothing new to this congregation. 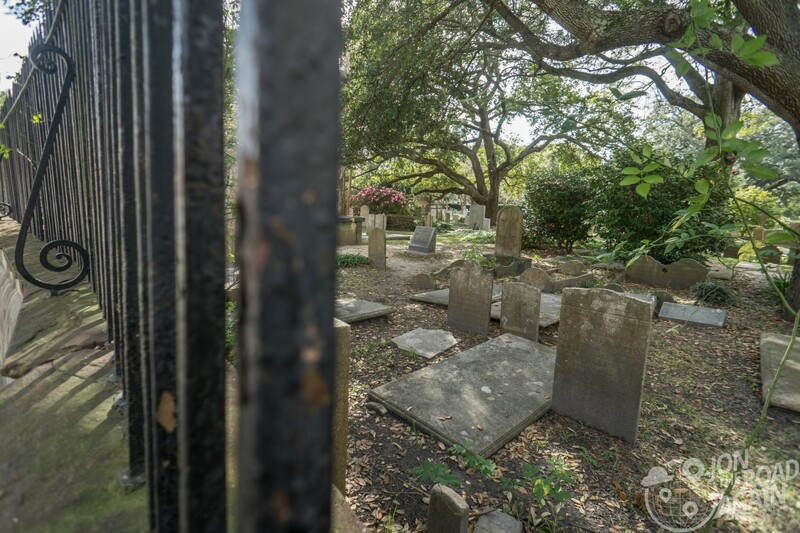 Its 200-year history is marked with important milestones for blacks in America such as slave rebellions, civil rights fights and, unfortunately, a place of remembrance and mourning. 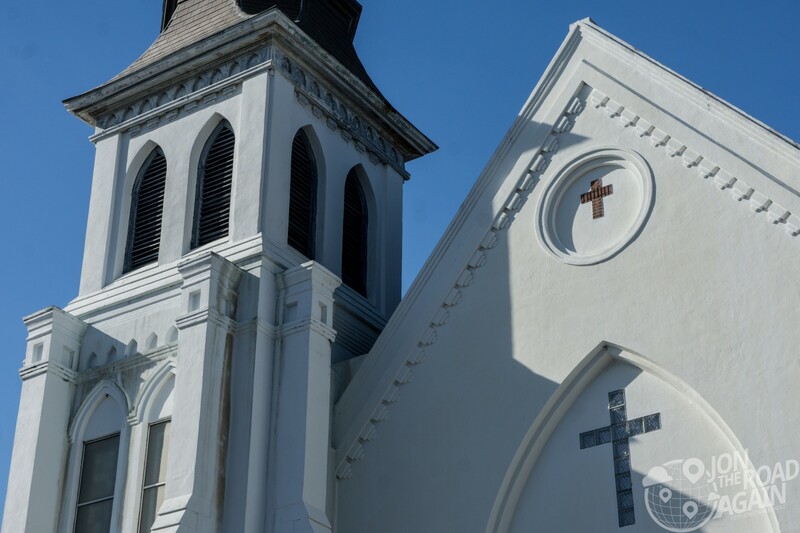 Mother Emanuel opened for its Sunday service just four days after the tragedy. You could stay a month and never see all the beauty that this city and surrounding areas have to offer .So proud to call the Low Country my home .You’ve done a wonderful job on showcasing your visit ,Thank you.